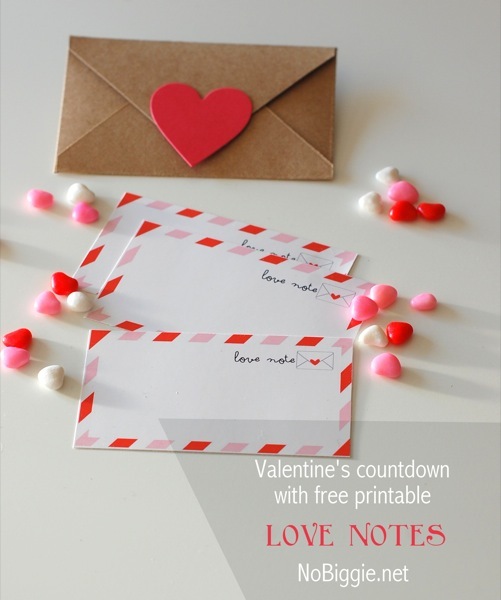 Count down to Valentine’s day with these little love notes for the ones you love. I love a fun holiday countdown, and this one is just for 14 days…the first 14 days in February. Can you believe that Valentine’s Day is coming up so fast?! I love the classic look of envelopes sealed with a heart. 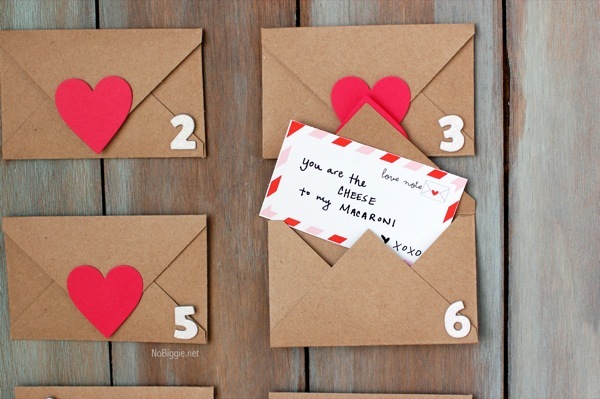 To make this simple countdown, we made our own mini kraft envelopes. I wanted small envelopes, and I didn’t have any little ones on hand. You can buy them or make them for this project. If you decide to make them, we first started with a 5×5 inch square of kraft card stock. 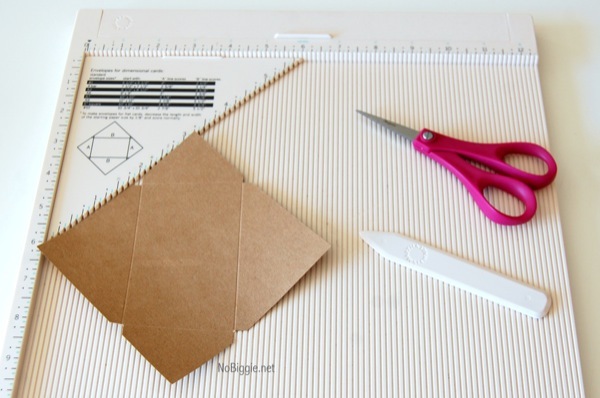 Using the Martha Stewart Crafts score board and the little envelope measurement tool on the back side, we scored the envelope and cut little notches out for easy folding. I then used my low temp hot glue gun to keep the envelope together and add the pink heart. These envelopes are not sealed closed. They are lightly taped down for easy opening and closing. For the word love in the center of the calendar and the numbers on the envelopes, I used small American Crafts thickers. For the backdrop, I made this distressed wood backdrop. I made it a while ago, but it works great for this countdown calendar. You could also just use a foam core board found in the school supplies section of most big stores. Now for the fun part…the sweet little love notes. There are 8 little notes to a page, so you’ll need to print this printable out twice for the calendar. The notes fit great in these mini envelopes. Click on the link below for this download. *Please Note: Printables are for PERSONAL USE ONLY. Now it’s up to you how you fill them…little notes, movie tickets, gift cards or little candies. Happy LOVE DAY count down! But you said cheese and that’s not paleo and now I’m crrrrrrrraving cheese!! 😉 Hope you are well friend! I really don’t think I could do that diet. Great! so glad I could help inspire it. That is funny about all the “loot”. HaHa…cha-ching! Thanks for the cute idea. Once I have paid, do you email the link or how do I get to it? Sorry if you said how and I missed it. thanks! What is the email account you have associated with PayPal? 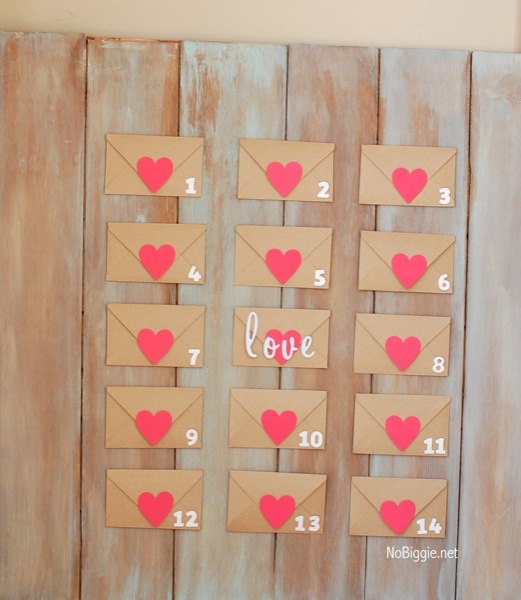 I just ordered the love notes- when will they be emailed to me? 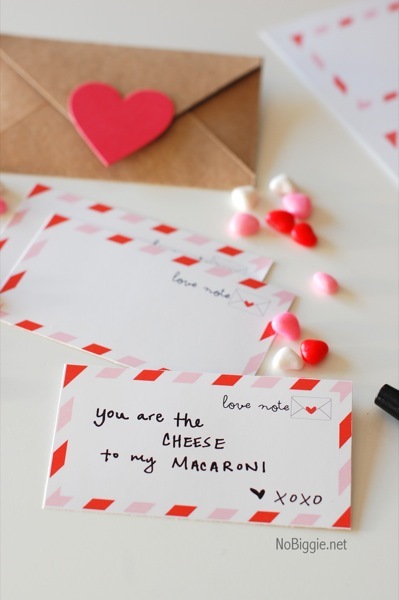 How can I print these love notes?